Is AdFly scam? If no, why every social network gives you verification code before posting a link shrinked by AdFly? Well, No. The AdFly is not scam. really not. It is a great and sleek designed website which let you shrink the long URL and pays you for every single visit it received. Great Right? But, How can I trust? This is the real reason I’m writing this post. It’s for you guys! I will also provide the payment prove which I received from the AdFly. AdFly is a great website unless you have a huge traffic to give a click on it. If not, then it is not good. xD. 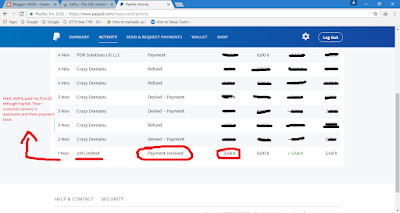 If you don’t have enough traffic then you have to show some patience which I did and finally got paid. Let’s come to next question. Why we need to verify it before posting on Social Media. It’s all because of the Social Media TOS ( Terms of Service ). None of the social media wants spam including ads. They consider all ads from third party as scam. Let it be for good or bad. How do you tackle with this? I must say you need to get a domain of your own. You can verify it in AdFly and make ads on your subdomain. Suppose like, without domain when you shrink URL you get like Adf.ly/xxxx but when you verify your custom domain in AdFly. You get shrinked URL on your subdomain like ads.yourdomain.com/1. Now when you post it on Social Media like FaceBook, Twitter and some other you won’t get any verification neither your link will be removed in future. If anyone of you wants me to show me how do I create ads using custom domain. Let me know. 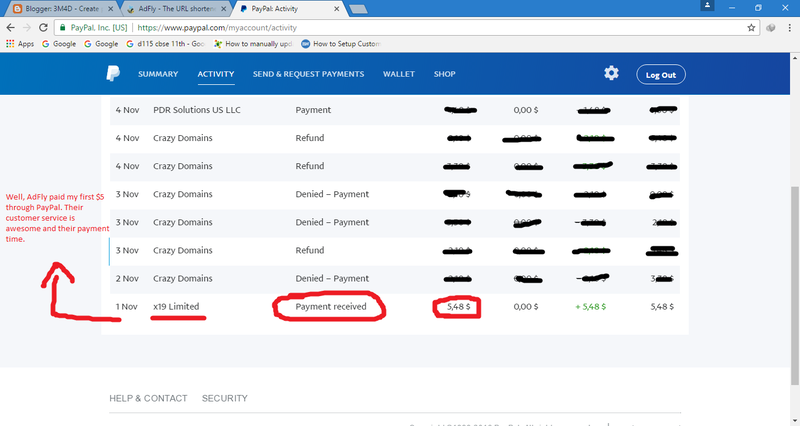 Here is the proof that AdFly paid my first $5. Uncategorized How to quick charge your Smartphone?